The nursing field has seen changes within the past 25 years that point to a need for more hands-on, inclusive, and immersive experiences for students and nursing professionals. With additional attention on leadership, communication skills, and safe care practices, nurses can benefit greatly from exposure to high-quality simulation- based training. in new nurse hires. At the top of the list are leadership skills. are continually turning to simulation. Nursing has settled into a new norm. How can simulation make an impact? I was so impressed. Nursing Anne Simulator is so realistic. I see that having a big impact on how well students will adapt and truly get that realistic simulation that we are hoping to achieve. 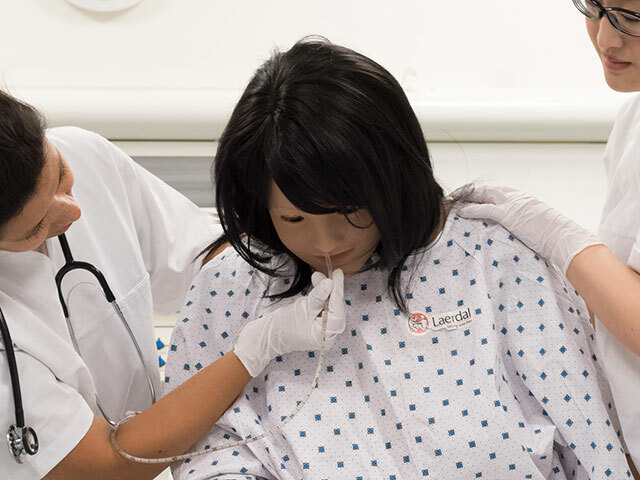 Laerdal has gone to great lengths to produce a product that is the most realistic that it can be. They have consulted nurses and nursing educators on multiple levels in order to see what it is that we really need at our bedsides and for simulation purposes. Nursing Anne Simulator really is the best product out there to portrait patient situations in all different kinds of clinical settings. Giving them the ability to apply knowledge in a safe environment is where simulation comes into play. This requires engagement and active learning on the part of the participants in order to be the key stakeholder in their own process of becoming a competent caregiver. Many times, especially in acute care settings and as well in community settings, there are situations that not every student will have the opportunity to be involved with. Simulation provides us with opportunity for us to assure that every student has that experience encounter, so that they can take that with them and put that in their repertoire of patient stories and experiences when they move into practice.